Wear sunscreen every day – yes, every day! We’ve heard it all before, and even though we know we should be sticking to them, we can neglect the eight glasses of water, we can skip the run in favour of the couch and we are definitely guilty of skipping the sunscreen outside of June! 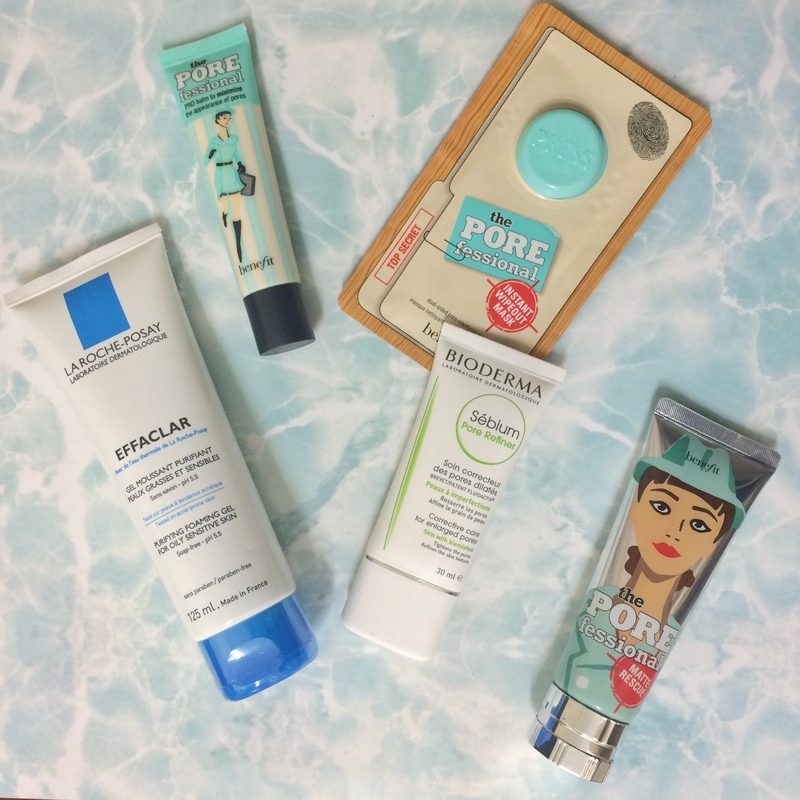 But while it’s important to try our best with the classics, there are a few extra tips I’ve found helpful for my skin. If your skin is on the oily side, you’ve probably been fleeing from putting more facial oils on your skin for years. However, it’s not that simple. Many facial oils actually contain plant oils that act as a barrier against the elements, as well as replenishing any essential oils you may have stripped from your skin during cleansing. Remember, your skin does need oil and if you deny it what it needs, it will actually produce even more to compensate, which will cause breakouts. We’re all guilty of letting our make up brushes get a bit too dirty from time to time, but it’s important to drill into your head that they harbour so much bacteria even from one week to the next. Powder brushes should be cleaned every 2-3 weeks and liquid make up brushes (particularly your concealer or foundation brush that you’ve been using to cover your breakouts) should be cleaned once a week. Simply give your brushes a swish in a glass with small bit of lukewarm water and some make up brush cleanser (or even just baby shampoo), pat dry and leave out to air dry. That last step is important – don’t put your brushes away as soon as they’re clean. Damp brushes are almost as bad as dirty ones! Naturally, drinking eight glasses of water a day will clear your skin but we’re all sick to death of hearing that, and you often end up going to the bathroom every ten minutes and not retaining much water anyway. A more effective way to stay hydrated and retain water for its facial benefits is to eat foods with a high water content. 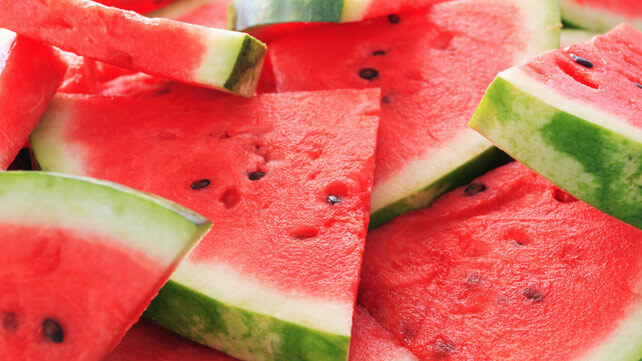 Celery, cucumbers and watermelon are just a few examples you can snack on for clearer skin. Similar to the idea behind using oils, you might think your face needs a bit of drying out but the opposite is true. If your skin is deprived of moisturiser it will over produce oil and sebum, which is responsible for clogging your pores and causing breakouts. Everyone’s skin is different, and some might find oil-based creams too heavy, in which case you can opt for a water-based moisturiser, which you can still combine with a facial oil. Okay, so most of us know that chocolate doesn’t exactly cause breakouts . That myth has definitely been disproven. However, a bad diet in general will cause problems for your skin. What you get out of your body (and your skin) has a lot to do with what you put into it, and if your diet is lacking in essential nutrients and vitamins, your skin is going to suffer. In short, there’s no point in putting down the chocolate bar if you’re shovelling takeaways and instant foods into your body. It’s not just about what you put on your skin, it’s about the way you put it on. Cleansing obviously comes first, but what next? If you’re using products that specifically target blemishes and problem skin, then use the ones with active ingredients first. These would include salicylic acid or glycolic acid. You want these to come in direct contact with your skin to work. 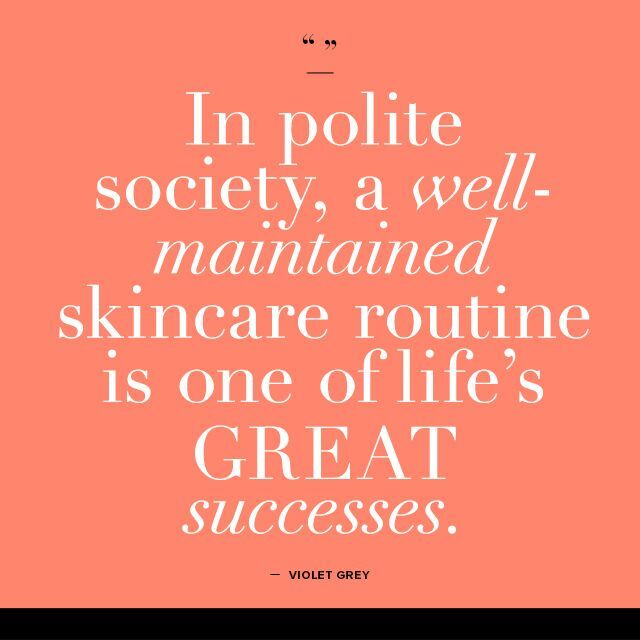 Next would be the lighter products, like facial oils, and finally, heavier creams or moisturisers would go last. You don’t want the heavy products blocking the active spot-fighting treatments. I don’t use these all at once, and I use them for different stages of a breakout or different skin situations. Everyone’s skin is different so what works for me might not work as well for you, these are just the ones I found the most effective for me. 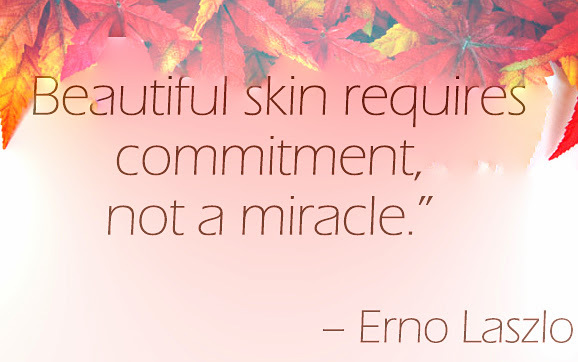 If you have found your own miracle worker for blemishes, let me know in the comments. I find the La Roche Posay Effaclar range particularly excellent for problem skin, so this is definitely one of my favourite cleansers. Another favourite cleanser of mine for breakouts, I discovered this when I went for a facial in Carton House and this was the cleanser they used on me to help with my breakouts. The results were some of the fastest I’ve experienced. These little miracle workers were originally for post-waxing treatment to prevent ingrown hairs, but with salicylic acid, they’ve proven fantastic for a number of other things, including taking redness down on blemishes. I use these directly after cleansing if I’m suffering a breakout. Plus, Waxperts is an Irish brand, which I love. This French brand owns one of the original micellar waters, and I can definitely vouch for it’s pore refining treatment. I use it as a serum, after cleansing, and after my Waxperts pads. I use it pretty much all over my face, focusing on anywhere I’m having a breakout. This stuff is amazing for acne scaring, and for generally taking down redness from blemishes that are new. It smells amazing too, and it’s a wonder product for a number of other things, like dehydrated skin or uneven skin tone. For particularly angry spots, I use this. I find most spot treatments don’t really work fast enough for me and I always find myself wondering if the spot would have gone just as fast with or without the product. However, this one I do find effective, and if I have single spots I can target, I use this. I find these touch and go, sometimes they work, sometimes they don’t. I think it depends on the kind of spot you have, and it really should be individual spots and not a whole breakout because these can only be applied to one spot at a time. However, I find them useful for flattening big spots with no head, and reducing redness. I often find other products don’t work as well on this kind of blemish so these help. These are relatively new, with Benefit maximising on its Porefessional range (hey, if it ain’t broke…) These are sheet masks and they cover about a third of your face, which I find useful for my breakouts because I rarely need it on my forehead. I mostly use them on my chin and jaw line area and I can feel it working. It also doesn’t need any rinsing. Like I said, Benefit are capitalising on their best-selling range, and who am I to complain? I find this good for the morning, because breakouts aside, my oily skin usually leave me with a shiny face, no matter how much powder I use. I was skeptical when I first tried it but it really does reduce that shine, especially on my forehead. Sensing a pattern? I wish I could say they paid me but they didn’t. I just really like this range for reducing the appearance of bad skin, especially before I put my makeup. This feels really nice, it’s translucent, even though it’s not a clear gel when you use it, and it makes your skin feel really smooth before applying makeup. *Prices may vary so keep an eye out for special deals.